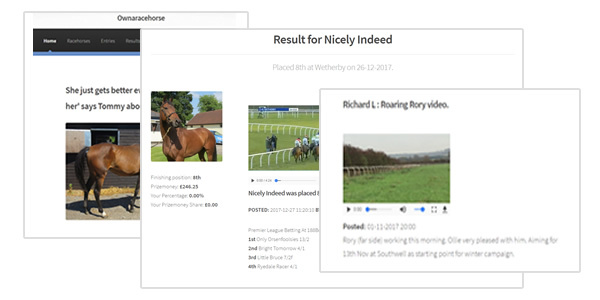 We always have a minimum of four racehorse trainers at any one time, and we choose our trainers not only for their training ability, as winners are crucial, but just as importantly, we need trainers who will allow our shareholders access to their racehorses at the stables and be able to provide the level of reporting we expect in order to keep shareholders up to date with their horses. Our list of current trainers is below, and includes trainers in Malton, Lambourn, Worcestershire and Teeside. 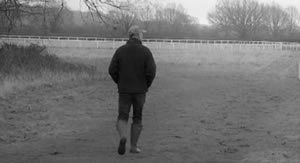 We have had runners at almost every racecourse in the country. 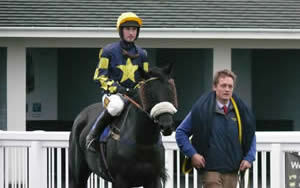 Ollie Pears is based in Malton, East Yorkshire and we have had horses with the yard for over ten years. Ollie has been very successful for our shareholders with many winners. Adam West may be a new name in the training ranks, but from his famous Loretta Lodge yard in Epsom he has made a great start to his training career. We placed horses with Philip Kirby in the early days when he only had a handful in training - he now houses over 80 at East Appleton. 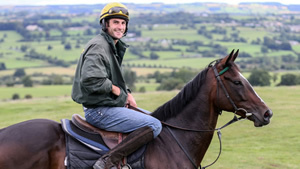 Tommy Gretton runs a great family training business at Inkberrow in Worcestershire. He has provided winners for our shareholders year after year. Mike Murphy has enjoyed plenty of success over the last ten years, and has some outstanding facilities in Bedfordshire.